So I saw this quilt in a magazine (I forget the magazine now..) about a year ago. 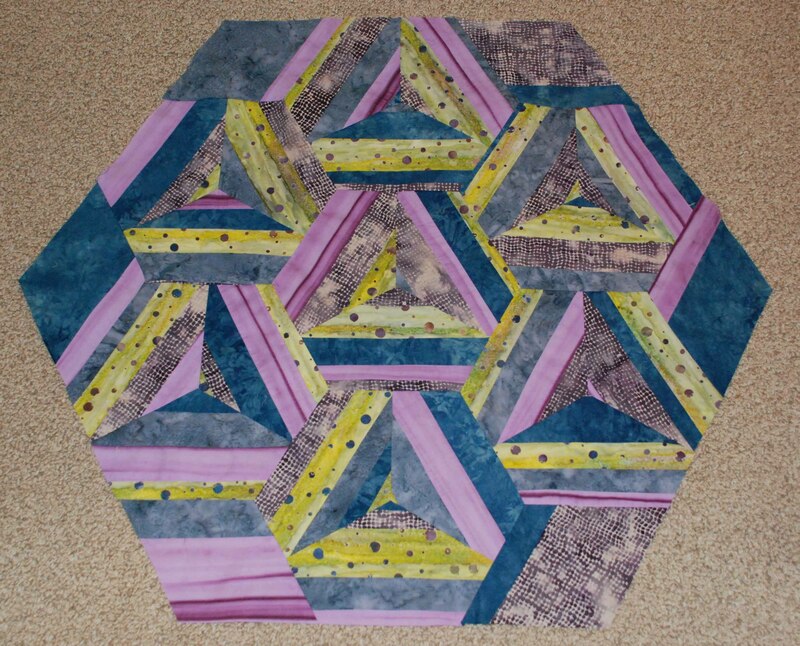 It’s called Hexagon String Baby Quilt. It’s a plat mat for babies. Isn’t it beautiful? And now I have a baby.. so I need a baby quilt right???? That’s what I thought. So quite a few months ago I cut a bunch of strips of fabric, and they’ve been sitting in a pile on a chair in my craft room. Well, last night I started to sew these strips of fabric to start this quilt. After all, I started a list of projects that I have started and just haven’t gotten around to finishing.. and my goal is to check everything off that list! 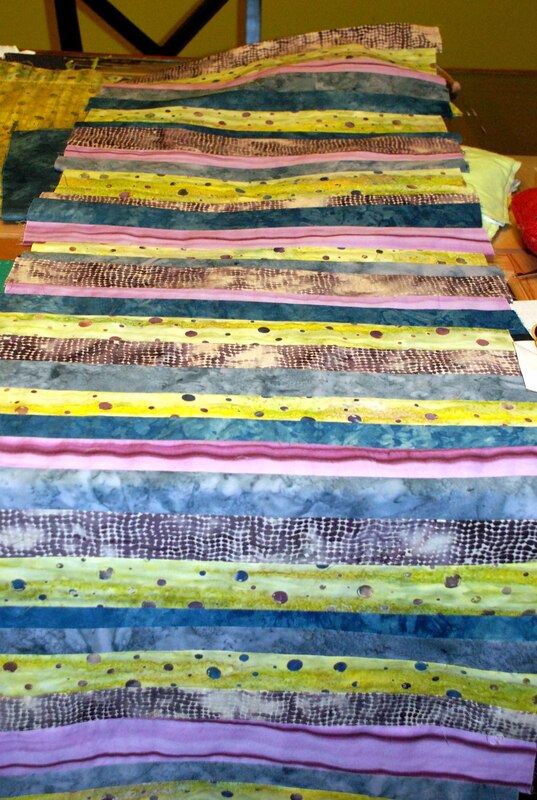 This quilt is one project that’s on my list. I really should give myself a deadline to get all these projects done.. I do tend to work better under pressure, but I’ve opted not to do that..
anyways.. back to the quilt. I sewed a ton of strips together that I had cut from fat quarters in random widths ranging from 1″ to 3″ wide. mmmm.. side note on this fabric. I had originally bought this to make a quilt for our baby before we knew it was a boy. Batik fabrics have a place in my heart.. oh they’re just soo beautiful aren’t they??? Anyways, my husbands heart doesn’t have a place for batiks I guess, and he was not a huge fan of my selections, so we re-selected fabrics for the quilt for our baby. That is when I decided I would get a quilt somehow, someway out of these fabrics. And that’s where the play mat came into plan. Then the areas that needed to be filled in, to make one big hexagon, I just traced the area and added for the seam allowances. Yeah, it might have been a little more even and easier if I had a pattern.. but meh, I like to be adventurous! So tomorrow I am off to the fabric store to buy the backing and batting to finish the quilt. I can hardly contain my excitement!